Poutine Week is upon us, and since no one has actually tried any/all of the glorious curdy creations yet, we've handily ranked each of the "dirty 32" dishes that're going to be available (for one fleeting week come Feb 1st) in order of their theoretical deliciousness. 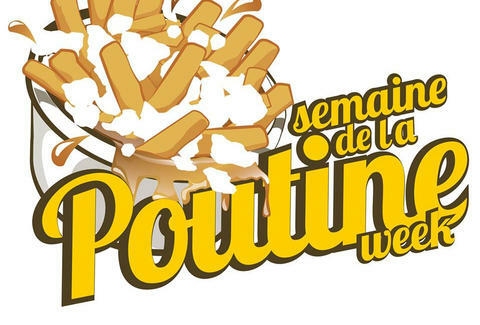 Sure, it's probably lovely, but this is Poutine Week. We're expecting AMAZING. Homemade gravy, fresh mushrooms, and black beans. Getting better. All the ingredients of a baked potato in poutine form with homemade gravy. Way to break the stereotype, fellas. Freshly cut fries, topped with "squish-squish" cheese curds, gravy, caramelized onions, sautéed mushrooms, smoked bacon, and garnished with a sweet & spicy chipotle sauce & fresh thyme. Homemade fries, cheese curds, vegetarian gravy, and spicy merguez. Veggie gravy and sausage?! Sure, why not. Make every minute of Poutine Week count by getting an early start with this greasy breakfast poutine topped in homemade gravy, 2yr-old cheddar, and chorizo. A generous portion of pulled pork with red cabbage and green apple coleslaw. Interesting! Angus Prime roast beef poutine. Delicious? Most probably. Adventurous? Not hugely. Panko beef, a combination of four cheeses, and mixed veggies topped in homemade Asian gravy. Braised lamb with kefalotiri cheese. Anyone who's had kefalotiri knows it's pretty delicious. 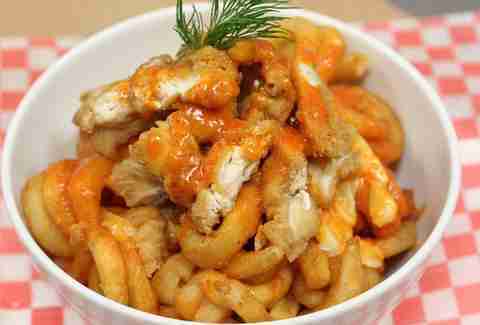 This thingy-thang poutine’s got chicken wing meat all up in its hot mess of curly fries, cheese curds, and medium sauce. No bones! Woo hoo! 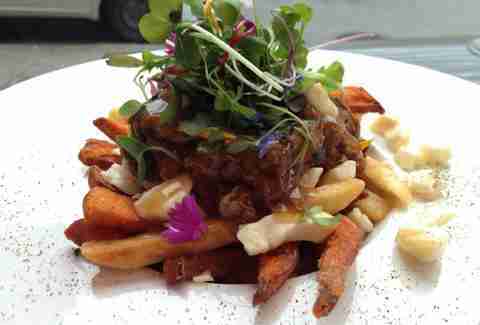 Regular and sweet potato fries, cheese curds, organic braised beef, edible flowers, and braised beef poutine sauce. Edible flowers? This is going to be a fancy poutine. 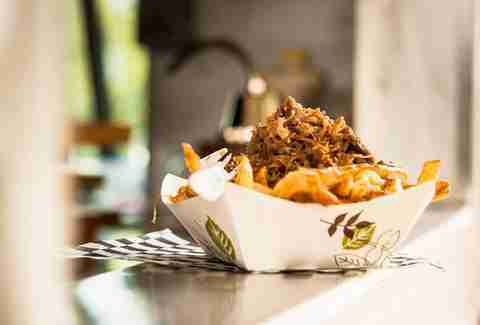 Fresh-cut fries, homemade chicken, spice blend gravy, and eight-hour marinated pulled pork. Things are getting really, really good. Le Petite Grosse is kind of a big deal. Ham things up with gravy cooked in ham’s juices, homemade French fries, homemade pickles, and roasted ham on the bone. Oh man, you do want bone in this one. Golden French fries, cheese curds, Banquise gravy, ground beef, diced tomatoes, guacamole, and spicy peppers. Their gravy is freaking delicious. Just tell yourself that Monsieur Resto’s dinner poutine is healthy because it has kale in it so that you can justify their sweet Quebec maple-bacon homemade churro “fries”, cream cheese meringue, fleur de sel caramel gravy, caramelized bacon-topped poutine for dessert. Homemade French fries, cheese curds, topped off with lobster and bacon mac and cheese. That would be delicious without poutine! Italian poutine with sauce from Drogheria Fine. Trust them, they know what they're doing. 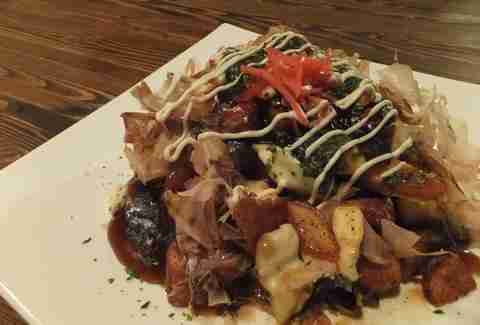 This Japanese jambalaya of a poutine is cultural fusion at its finest. Merci arigoto, Monsier Roboto (= cultural fusion at its worst). Sure, poutine pizza has been done. But this?! Braised rabbit with grainy mustard and honey gravy. This is a completely delicious and underrated meat. Plus, the peeps from Joe Beef eat here, and you can definitely trust them. Translation: I’m-gaining-weight-just-by-looking-at-this donut poutine drizzled in duck fat gravy, peppercorns, and mozza cheese curds. Add bacon if you’re nasty. Gnocchi, seal merguez, brussels sprouts, cheese, and full-bodied jus. 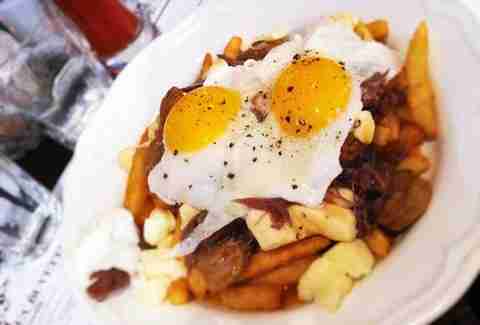 Plus, it's freaking SEAL POUTINE. 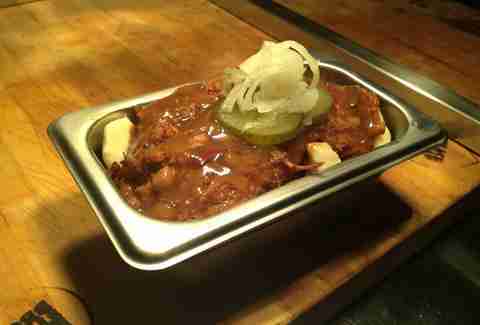 Hand-cut fries, fresh cheese curds, BBQ brisket poutine gravy, BBQ brisket chili, and pickles. Save this fine piece of work for an especially cold Winter’s night and it’ll keep you warm until the “itis” kicks in. Only Northerners can appreciate this kind of hearty. Rosemary fries, sortilège, and maple sauce with bacon slices and bits, and fried cheese curds. Yep, that's maple syrup booze in there. 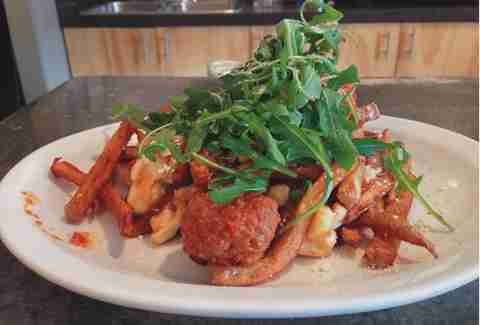 Classic poutine with Brome Lake confit duck, Blue Benedictine cheese, infused sauce, pickled red onions, and arugula. Get. In. My. Mouth. Homemade crispy fries, red wine, and foie gras gravy, duck confit, and balsamic caramelized onions. This recipe + Lucky's track record = you win. Potato donuts, red-eye gravy, smoked ham, and cheese. 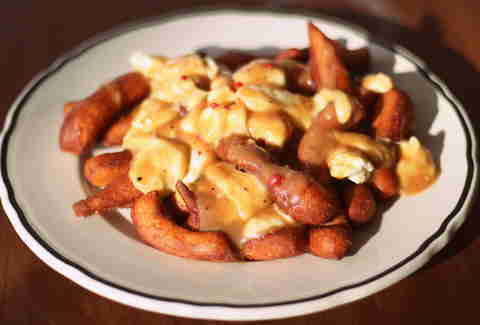 Er, DONUT POUTINE. 2. Pub Quartier Latin’s Poutine Boeuf Parmesan Truffes!!!! Fries layered in pieces of AAA 1855 beef, demi-glace sauce with truffle pasta, and Parmigiano Reggiano. Just... wow. Fries, lobster, squeaky cheese, béchamel sauce, and shallots. Choir of angels, meet tastebuds.